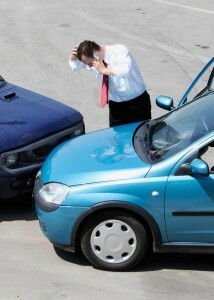 FREE CONSULTATIONS with a Cobb Pain & Wellness Clinic injury chiropractor for your auto accident cases. Your entire care may be free if you are the victim of an auto accident. We provide NON-SURGICAL treatment if you are injured in a car accident. Dr. Evans is a thoroughly trained injury chiropractor in the proper management and documentation for the specifics of your auto accident, slip and fall and work related injury case. After completion of your examination, all of your injuries are documented, properly diagnosed and you are given a treatment plan that is specific for your injuries. It’s important that you report any activities you perform at the same time you experience your symptoms. Any personal injury chiropractor should explain what is known as duties under duress. These generally include pain experienced while at work, school or performing domestic and household activities. We want you to understand every step of your healing process during your recovery. You may also receive massage therapy as a part of your recommended rehab plan from a personal injury chiropractor. Diagnostic X-Ray and/or MRI studies may be recommended within 30 days following the accident. YOU MAY BE ENTITLED TO RECEIVE CARE AT NO COST!